If there are two words to sum up Kirushi and Nilu and their Sri Lankan wedding day, it’s definitely “Honest Turmoil”! And it’s true on several fronts. It was a long day, and a lot happened!! We arrived at 6am to find Nilu was almost finished her makeup! (think 4am start for the Hair and Makeup team!). Then throughout the day, there were many, many different little rituals and traditions to fit in! They even squeezed in a first look before the reception began. But Honest Turmoil doesn’t just describe their wedding day, it describes both Kirushi and Nilu too. As the story is told through the speeches and their vows, it became clear that “an honest first date, and 7 1/2 years of turmoil” was just the beginning. There are still many unknown adventures left ahead for both Kirushi and Nilu to enjoy and discover together. We photographed their Sri Lankan Wedding too! So click here, or the photo below to check out our photo blog of their wedding. 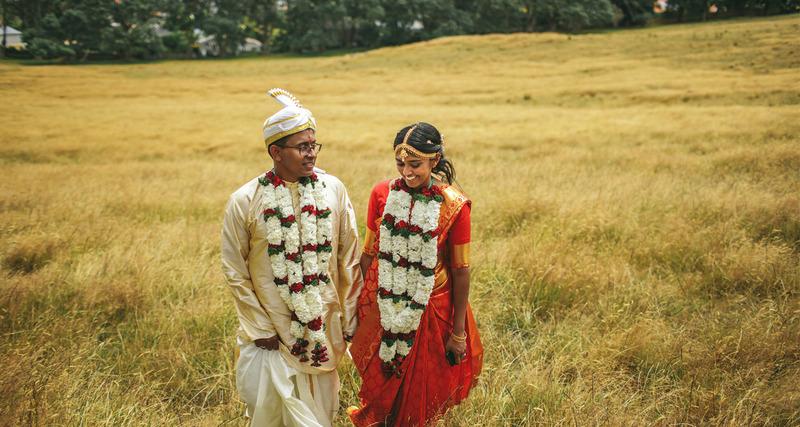 Thanks so much for checking out Kirushi + Nilu’s Sri Lankan wedding video! Till next time. Jared and James.